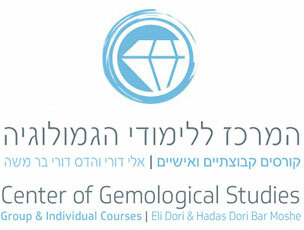 A gemological certificate is equal to an identity card. 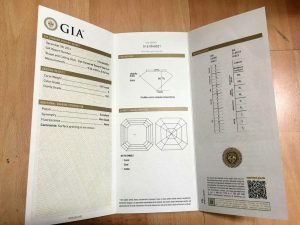 The certificate provides all the requested knowledge about the diamond: what is the shape of the diamond, what is the diamond’s weight, what are its color and clarity grades. What are its measurements, its cut, its symmetry and polish grades. 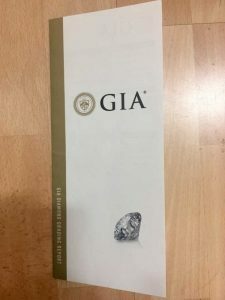 What is the fluorescence level, are there any graining lines in the diamond, are there any treatments within the diamond. 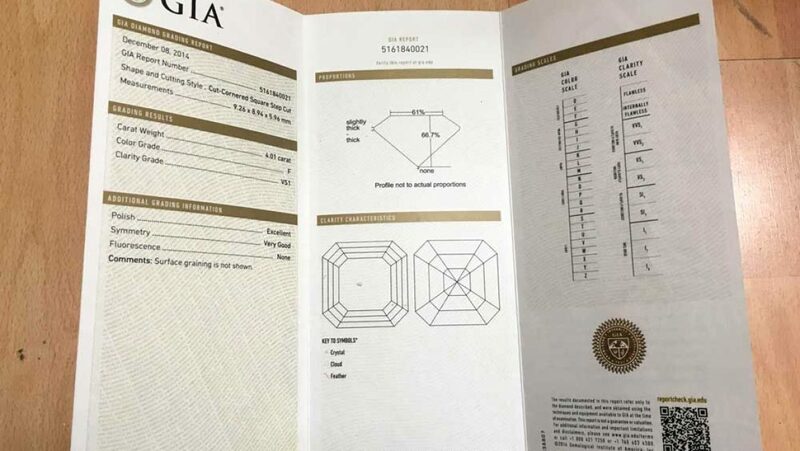 In gemological certificate of a diamond of 1.00ct and above, it is common to plot the clarity characteristics. The plotting advises why the diamond was graded with its clarity grade. 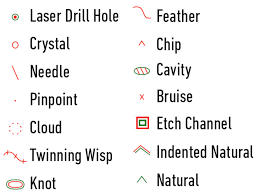 Internal characteristics will be marked in red. External characteristics will be marked in green. Extra facets will be marked in black. Internal characteristics which are seen from the crown will be marked in the crown. External characteristics will be marked where they are. Internal characteristic that touch the surface of the stone, like an open cleavage will be marked where they are. Combined inclusions such as an indented natural and a cavity will be marked where they are in green and red.